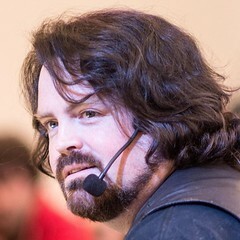 Dylan Beattie: Would you like to speak at London .NET User Group in 2016? Would you like to speak at London .NET User Group in 2016? The London .NET User Group, aka LDNUG – founded and run by Ian Cooper, with help from Liam Westley, Toby Henderson and me – is now accepting speaker submissions for 2016. We aim to run at least one meetup a month during 2016, with at least two speakers at each meetup. Meetups are always on weekday evenings in central London, are free, and we want to have at least two speakers at each of our meetups this year. We’re particularly keen to welcome some new faces and new ideas to the London .NET community, so if you’ve ever been at a talk or a conference and thought “hey – maybe I could do that!” – this is your chance. We’re going to try and introduce some variation on the format this year, so we’re inviting submissions for 45-minute talks, 15-minute short talks and 5-minute lightning talks, on any topic that’s associated with .NET, software development and the developer community. Come along and tell us about your cool new open source library, or that really big project your team’s just shipped. Tell us something we didn’t know about asynchronous programming, or distributed systems architecture. We welcome submissions from subject matter experts but we’re also keen to hear your first-hand stories and experience. Never mind what the documentation said – what worked for you and your team? Why did it work? What would you do differently? If you’re a new speaker and you’d like some help and support, let us know. We’d be happy to discuss your ideas for potential talks, help you write your summary, rehearse your talk, improve your slide deck. Drop me an email, ping me on Twitter or come and find me after the next meetup (I’m the one in the hat!) and I’ll be happy to help. So what are you waiting for? Send us your ideas, come along to our meetups, and let’s make 2016 a great year for London.NET. Yes! I want to speak at London.NET in 2016!